A recent study in the United States has found that 41% of all campers surveyed, choose a campground based on its ability to have free Wi-Fi. It was the third most important factor in choosing a campground, after clean bathrooms and kid friendly environment. And 70% of campers go online when camping, with 50% going online every day. Reading the above statistics about what campers in the USA look for in a campsite, we could say that this only applies to Americans who camp at the big camping resorts (some of these resorts would be the equivalent to some of our fancier caravan parks) and dismiss these figures as “only in America”. Are some Australian campers going to think like this in the future, and choose their destinations based on if there is free Wi-Fi, which is already a big consideration for a lot of us when choosing accommodation like hotels/resorts? Technology has become a big part of our lives, and we on a daily basis, embrace it wholeheartedly, especially when at home and work. I personally, don’t know what I would do without it when not camping! But what is a bit on the disturbing side is that some people choose a camping location on ability to connect to free Wi-Fi, which seems to defeat the whole purpose of getting away from it all. Choosing a campsite, for most of us, has been based upon location, how suitable it is for our camping set up, privacy, distance from home, etc. 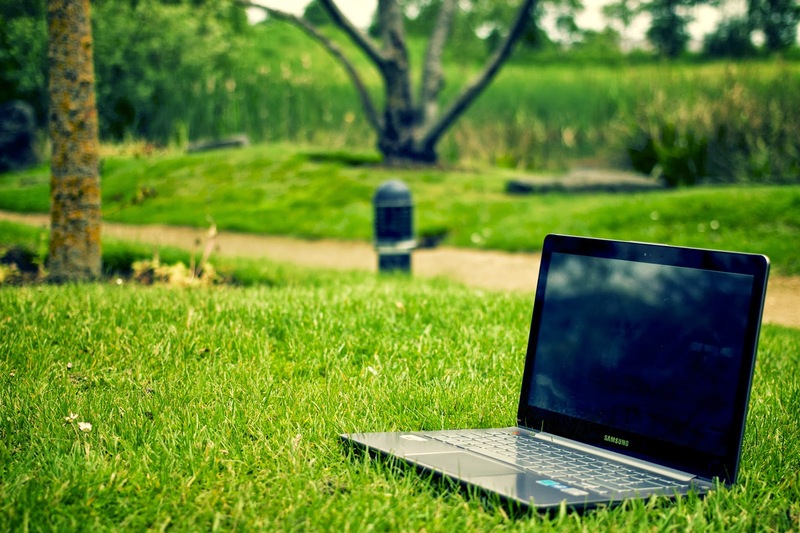 (in fact, you might want to read up on some tips to choosing a campsite) but Wi-Fi isn’t on that list. I can’t see myself adding it anytime soon. Imagine all the places you wouldn’t get to see because they don’t offer you ability to surf the net for free? I won’t deny that my children (and I am sure many other people’s children) would love to have unlimited Wi-Fi at some of the places we have visited, especially as they have gotten older. Their inability to access Wi-Fi, gives them some unhappy moments, but it does force them to do something that doesn’t involve a screen. As parents, we love this disconnect that is enforced upon them. In some parts of Australia, Wi-Fi is seen as a tourism feature that needs to be promoted. The NT Government has rolled out Wi-Fi to 3 National Parks: Karlu Karlu (Devils Marbles), Wangi Falls in Litchfield National Park and Watarrka (Kings Canyon). The aim of the free Wi-Fi is provide increased access points to the internet enabling tourists and Territorians to instantly upload photos to a world-wide audience. So what does that mean if you don’t immediately upload that photo when you are visiting one of those parks? Did your visit never happen? There is a theory that National Parks need to have this technology to stay relevant and encourage visitors – failure to do so could give way to negative feelings about the visit. Would your views on Kings Canyon be less favorable because you couldn’t freely access Instagram to upload your photo? I don’t believe so. I think the beauty of our Australian National Parks wont be diminished in my eyes because of the fact that my selfie wasn’t online at the exact time I was there! 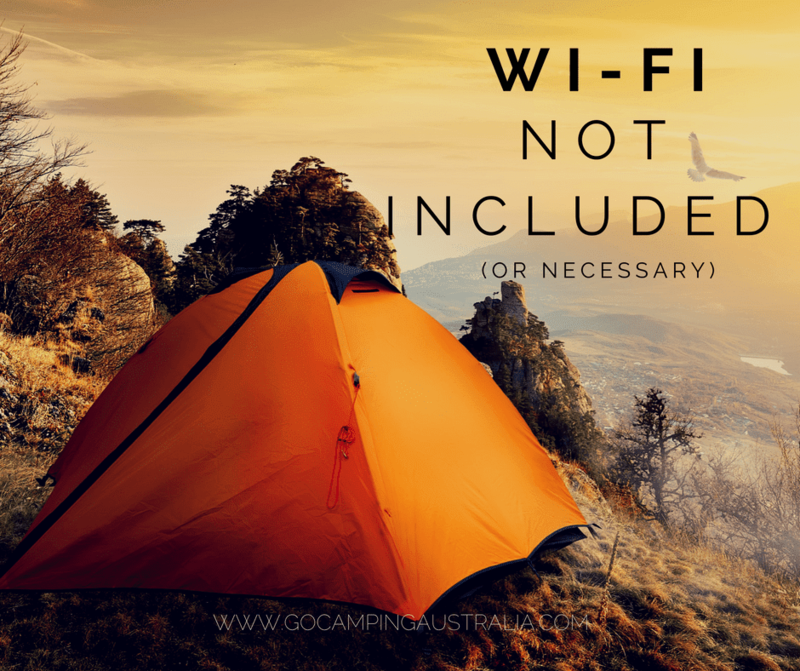 Despite views that I don’t think free Wi-Fi is crucial to the camping experience, there remains one important fact that can’t be overlooked….. When it is offered and available, no-one is forcing you to use it. A choice to have our phone, and not turn it on. A choice to use the camera on the phone, and then upload it after our holiday is over. A choice to immerse ourselves in our surroundings, and not online. Camping and technology are not mutually exclusive. The decision on how much each and every one of us wants to embrace this technology, is, and will be, an individual decision. But if you are planning your trip around ability to access the internet for free, as suggested in the report at the start of this story, then I think the true experience of camping is being lost in favor of online living. 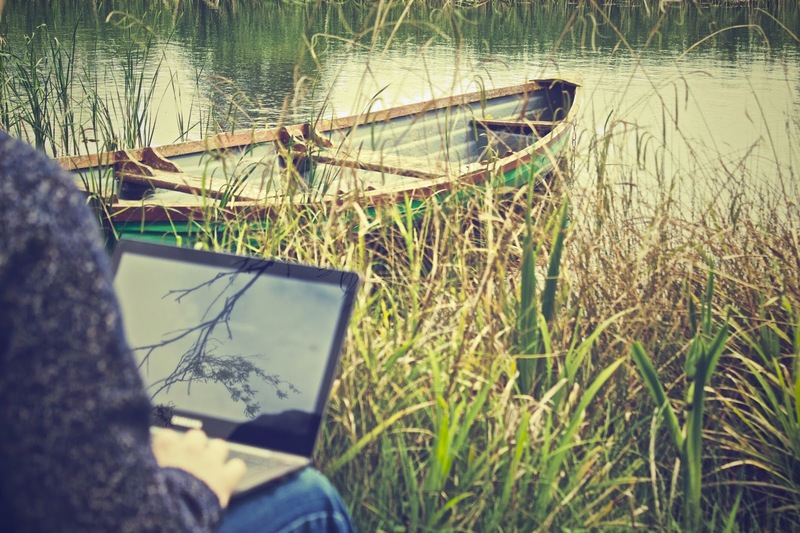 There is nothing wrong with enjoying time on your screens, but it would be a shame to miss out on some beautiful parts of the country because they don’t offer you free Wi-Fi. 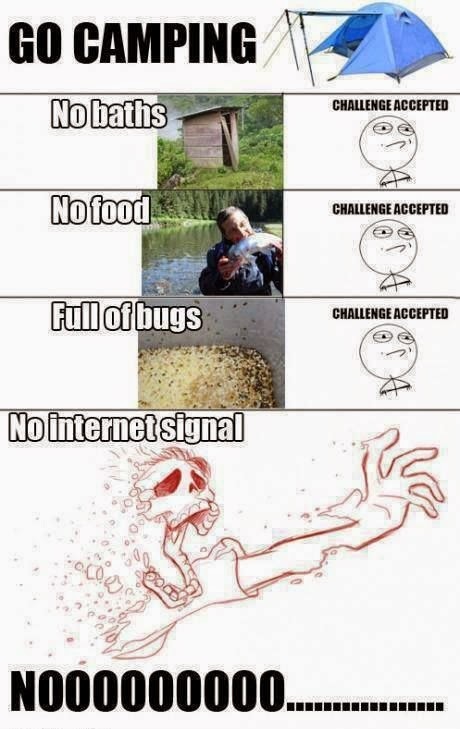 Do you want free Wi-Fi when you camp? Leave us your thoughts below.